Altawest is an industrial group, acting as a technology developer, an OEM and Services provider for the environment and energy markets. The focus of the Altawest Group development is the energy efficiency and operational performance of our customers’ activities: power generation, combined heat and power, industrial processes. Altawest relies on the professionalism and dedication of its 1,200 employees worldwide to secure long-term growth. Their imagination, their experience and their skills are committed to serve our clients through innovative technical solutions and to open new application fields through R&D. Jeumont Electric designs and builds induction and synchronous motors inside integrated systems for the energy, process industry and marine markets. 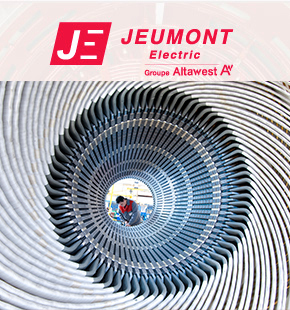 Through its local sites, JEUMONT Electric has direct access to its markets in the Middle-East, India and Brazil. Its branch companies provide JEUMONT Electric with high and medium voltage frequency converters and a wide range of services to support its clients in equipment operation. 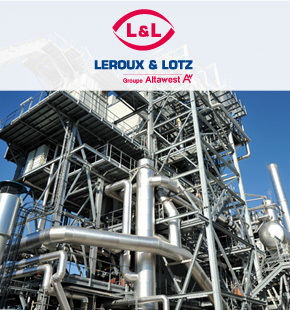 Leroux & Lotz companies are energy generation specialists. Their offer covers a full range of equipment and services: boiler islands and combustion systems from 1 to 150 MWth, special industrial equipment, and boiler, pressure parts, steam turbine and compressor maintenance and retrofit solutions. 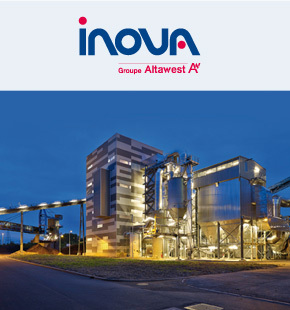 Inova provides engineering, procurement and construction services for turnkey waste-to-energy or biomass combustion plants with 100% power, 100% heat or combined heat and power energy recovery. Inova is an engineering company, which offers integrated renewable energy generation solutions developed around leading technologies. They guarantee environmentally-friendly high energy performance. Its subsidiary Inova Operations proposes 24/7 operation and maintenance of energy generation plants.